NEWPORT – Anchors on the SSV Oliver Hazard Perry hit the sea floor Wednesday after a statement by its parent nonprofit noted financial difficulties for the state’s official sailing school vessel. In the meantime, the SSV Oliver Hazard Perry will remain tethered in a yet-to-be-determined location. While it’s not an “iron clad,” decision, OHPRI Executive Committee Member Avery “Whip” Seaman told PBN Thursday the SSV Oliver Hazard Perry will be pulled out of the water in late October. It will be dry-docked at Quonset Point in North Kingstown. Per the release, layoffs have taken place but neither how many staff had been employed by the nonprofit prior to Wednesday’s announcement nor the number remaining on the payroll afterward were enumerated therein. A former OHPRI employee in a position to know and who declined to be quoted for attribution, confirmed that five full-time and three part-time employees were terminated Tuesday with the possibility of some being hired back as contractors. Seaman told PBN Thursday that two able-bodied seamen and an engineer were retained to help move the ship. The dollar amount estimated to foot the bill of the 200 foot three-masted official flagship and tall ship ambassador of Rhode Island has never been steady. In June 2011 the number was $6.6 million, per Providence Business News reporting, and had risen to $7.4 million for a July 2013 launch date by April 2012. Three years later, in January 2015, the year she took its maiden voyage, the SSV Oliver Hazard Perry was a $15 million endeavor. In a September 2017 interview with the Providence Business News, Jessica Wurzbacher, former OHPRI executive director, said $16 million was raised by the nonprofit to fund the venture. However, in Wednesday’s announcement, OHPRI called the SSV Oliver Hazard Perry a $12 million ship. Seven years ago, PBN reported that the OHPRI successfully argued for the Rhode Island Senate to update the guidelines of the Industrial Recreational Building Authority, which provides loans on mortgages for industrial and recreational properties, in order to help them reach their target. Stacy Farrell, R.I. Commerce Corp. financial services operations manager, told PBN Thursday the IRBA “never approved” a transaction related to the SSV Oliver Hazard Perry. Rhode Island did, however, construct a $5 million dock for the ship at Newport’s Fort Adams State Park. In addition, multiple local corporations, including at least three donations by BankNewport dating to 2008, contributed to the project throughout what became a seven-year construction and funding process. In its most recent financial report, for year 2016, the nonprofit reported a $961,415 loss, following a $3.4 million profit in 2015. Total expenses in 2016 were $2.1 million, an increase from $1.5 million the year prior. Scheduled trips to Boston and activities during the Newport International Boat Show have been cancelled and refunds will be made to those who purchased tickets to the latter. Seaman, who admits in his prepared remarks “the tall ship community is no stranger to funding issues,” argued one reason for the sales slump could be the sailing-focused nonprofit’s “approach to experiential learning.” He believes the uniqueness of tall ship sailing training may not attract as much outside funding as other opportunities. In addition, while the vessel has traveled 10,000 nautical miles, according to OHPRI, the “necessity of hauling it next spring for another USCG inspection” also played a role in the nonprofit’s decision to anchor the vessel. For Seaman, ensuring “a long sustainable future” for the SSV Oliver Hazard Perry is a top priority during this transitional period. A group of tall ship experts and OHPRI committee members has been convened to determine the best path forward for the nonprofit. “We have built an amazing ship, and we have established proof of concept; now it is time to figure out how to build on that,” said Bart Dunbar, OHPRI co-founder and chairman, in Wednesday’s announcement. Seaman expects the committee to determine a plan of action for the ship by the end of the winter. Per OHPRI’s count, more than 1,000 youth have been impacted by the vessel’s at-sea programs. 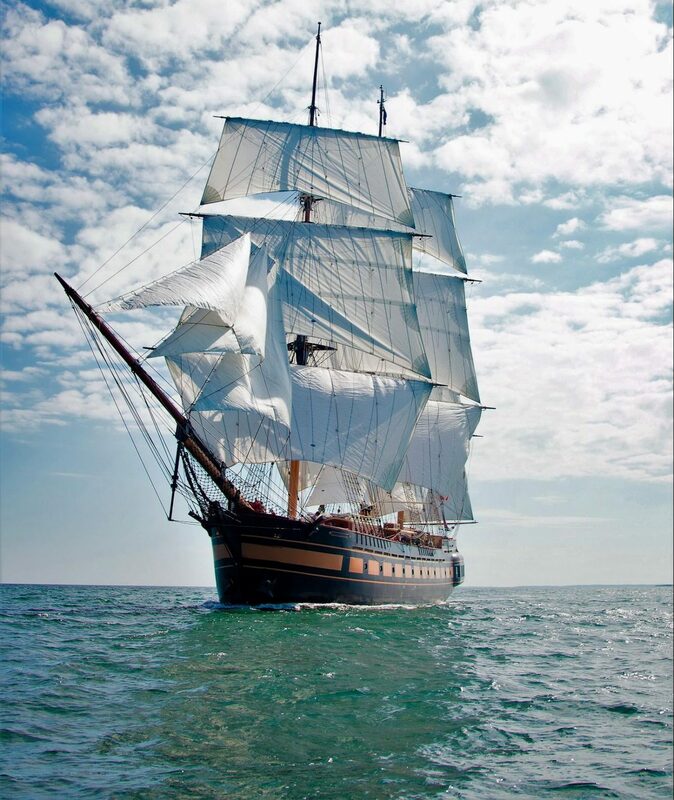 In addition, the nonprofit touted more than 40,000 visitors were drawn to the vessel during the Tall Ships America expedition which saw stops in ports from Pensacola, Fla., to Galveston, Texas, and New Orleans.